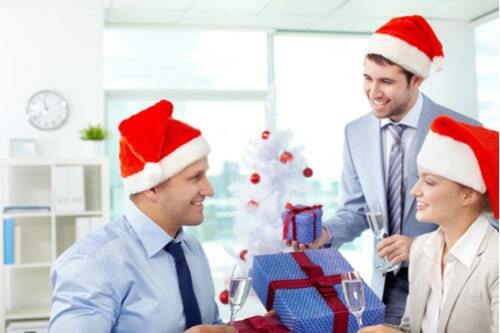 With the holidays approaching, you may want to throw an office party for your workers to enjoy. Getting into the holiday spirit can be a great way to have a little fun with the people you work with, as well as setting a festive tone in the workplace. 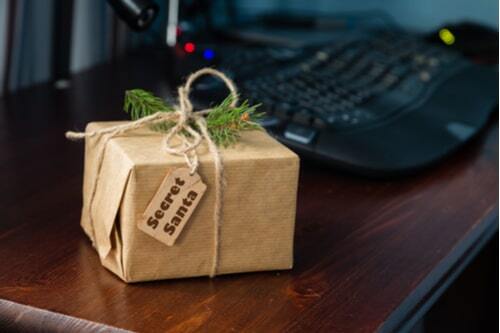 Decorating a tree for the office, stringing some lights, and including your team in a Secret Santa gift exchange can help to spread some holiday cheer. You probably spend more time at the office then you do at home, so why not bring in the holidays with the people you surround yourself with each day. Take a look at some great Secret Santa gift ideas that will make gift giving even easier, without breaking the bank. A candle is the perfect gift without getting too personal. A WoodWick candle, in case you did not know, crackles while it burns. This provides a cozy, fragrant way to feel as if you are sitting next to a real fire. The fireside, sandalwood, and redwood scents are fragrances that anyone would enjoy. It's priced at $23.00. If you notice that your co-worker loves a good cup of tea, this may be the Secret Santa gift for you to give. The tea set comes with 8 flavors for your co-worker to enjoy. Those flavors include: Moroccan Mint, chamomile lemon, earl grey, emperor’s pu-erh, jasmine green, mate lemon, and rooibos chi. This set is priced at $23.00. If tea is not a thing in the office, then for the coffee-lover, you might want to consider a French coffee press maker. For a strong, smooth, good cup of coffee to start the day with, this may be just what the doctor ordered. This product is priced low at $26.00. With all the tea and coffee talk, we should mention the gift that keeps on giving: a fun novelty mug. With this your co-workers are sure to enjoy their morning, afternoon, and maybe late day beverage. This is a great gift. It can provide your Secret Santa with a funny or motivational saying that keeps them smiling all year long. The price tag on this item is about $10.00. This recipe book, can provide a recipe for the happy hour we all want to enjoy at the end of a stressful week. Tequila Mockingbird is a recipe book full of delicious cocktails. With the 65 recipes that are included, your co-worker will have plenty of test tasting to keep them hydrated. They may even enjoy the fun literary pun-filled names that title each drink. This book is priced at $9.00. Items like these are a great way to celebrate the office Secret Santa gift exchange. As the employer, you may want to take part in the gift giving as well as the planning. While a holiday office party may not break the bank, a catered event for your employees can cost a pretty penny. 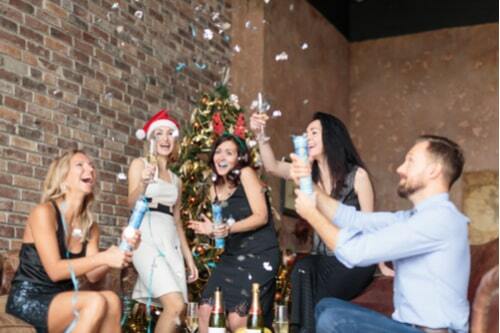 If you have considered hosting a Christmas party at a banquet hall, then you may need a little extra funding. If you are going all out, then you want to do it right! Take a look at how small business funding works, to receive the fast cash you need this holiday. It may be what you need to throw the office event of the year!